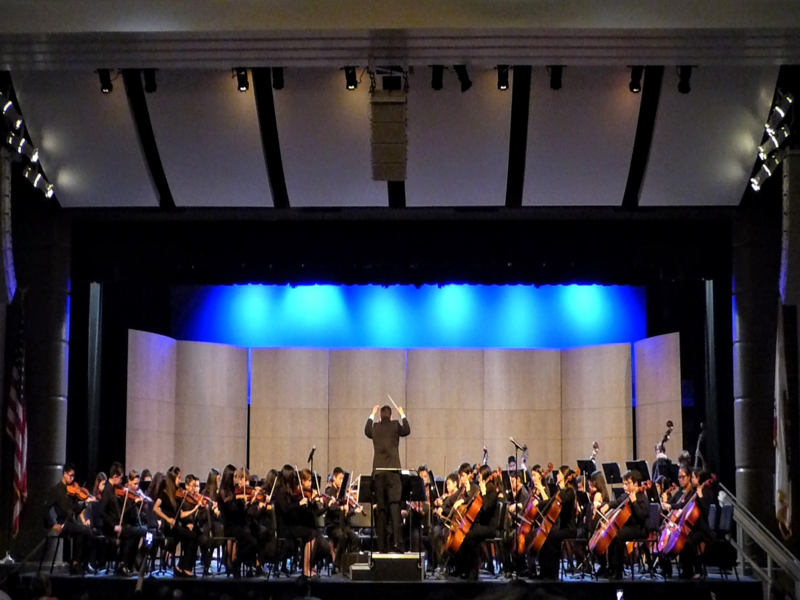 On May 16, Kraemer Middle School’s orchestras performed their last formal concert at the Valencia High School Auditorium. All orchestra students worked extremely hard to perform including Mr. Grant and Mr. Topping, the orchestra’s magnificent teachers. First to perform were the intermediate orchestras, a combined presentation by both periods 1 and 6, taught by Mr. Grant. They started off with an enjoyable pop tune called “All-Star”. Their second song was a playful but peaceful song called “Jupiter” which was featured in the movie, Home. As their last and final song, they played “Turning Point” which was magnificent, especially because it was known as a high school level song. Mr. Grant said that they worked especially hard on this song and it turned out great. Next to perform was period 4 advanced orchestra, taught by Mr.Topping. They started with a song from the movie La La Land titled “City of Stars”. This song featured soloists Joab J. on the violin and Michael P. on the cello. The next song was one that everybody loved called “Can’t Help Falling in Love” by the infamous singer, Elvis Presley. The last song they played was a song called “Beethoven Inc” that included most of Beethoven’s famous songs. As a little twist, Chamber Orchestra combined with Advanced Orchestra and played Clocks, featuring soloists Andrew L. on violin and Krishi S. on drums. Next, they played Seven Nation Army featuring Sean L. on the bass guitar and once again Krishi S. on drums. After Advanced orchestra left the stage, period 3 Chamber Orchestra, taught by Mr. Topping, performed. First, they started with a pop tune called “Counting Stars”. Then they played a medley from the Wizard of Oz which included “Follow the Yellow Road”, “Over the Rainbow”, “We’re Off to See the Wizard”, and “Ding Dong the Witch Is Dead”. Lastly, they finished it off with a powerful song called “Rhythm Dances” which was said to be very difficult for middle school students. All orchestras worked very hard and definitely performed miraculously. 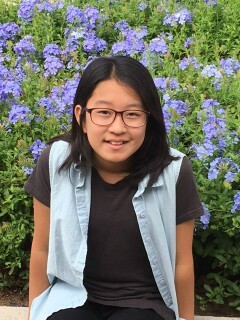 Doyon K., a third-period student states, “We worked really hard to perform well and even though it was tiring, it was fun and worth it.” The students are definitely thankful for such wonderful teachers, Mr. Grant and Mr. Topping, for helping the students perform their best.